In the 1960s, U.S. Fish and Wildlife Service researchers used hormone-laced bait to prevent New Mexico coyotes, the "little bad guys of the Western Plains," from reproducing so effectively. It worked pretty well: Up to 80 percent of treated females didn't get pregnant. But those females had to consume meds repeatedly throughout the breeding cycle, and there was risk of other animals eating the bait -- or even chowing down on the treated coyotes. 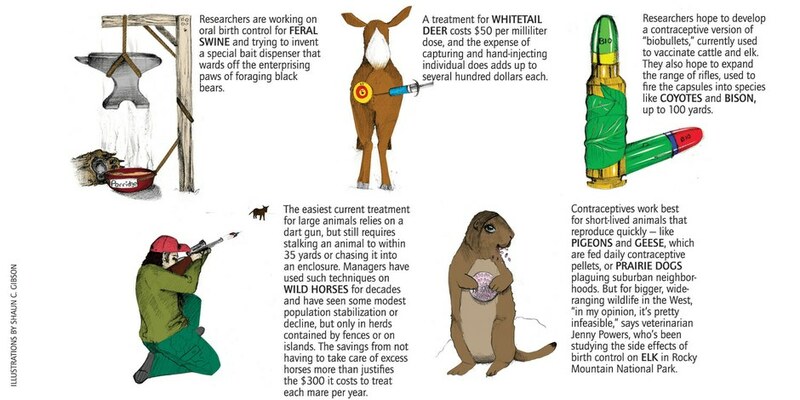 Ever since, scientists have been trying to develop the perfect wildlife birth control, a humane management tool for creatures that proliferate in human-manipulated environments.